Heinrich Marx had converted his family to Christianity for financial gain and not only lost his son to atheism. Ultimately, he enslaved billions of people through a political system that has ruined, imprisoned, and killed an estimated 94 million people. [i]The influence of one father’s act of hypocrisy multiplied in infamy. Jesus claims their motives are hypocritical. Jesus criticises their worship as vain. Jesus condemns their traditions as human rules. If you have, or have had, children you’ll know the scenario before meals. “Have you washed your hands? Let me have a look at your hands…..” That is not what the Pharisees were upset about. The disciples had not followed their Rabbinic rituals. There were nine different occasions when the hands had to be ritually washed before and after meals along with prayers and blessings. Water had to be poured on each hand three times alternating the hands between each wash. Then there were additional instructions concerning the washing of the hands before bread was eaten and then again before vegetables were eaten. According to the Babylonian Talmud, washing before meals was so important that neglecting it is was tantamount to unchastity. Failure to obey risked divine punishment in the form of sudden destruction or poverty. [ii] And the ritual washing of the hands was only the beginning. Mark tells us, “And they observe many other traditions, such as the washing of cups, pitchers and kettles” (Mark 7:4). Jesus challenges these cherished traditions. Why? Because human traditions invariably fuels hypocrisy. How could the Church get away with it? Easy. Simply Re-number the Ten Commandments. For 2000 years before Christ the Jews had kept the order as we have them in our Bibles here at Christ Church. The pre-Reformation Church following Augustine decided to incorporate the Second Commandment in the First Commandment so that the condemnation of idolatry became a sub-clause. The problem with that is the Ten Commandments became Nine. Do you know what they did? To make sure they still added up to ten, they split the 10th Commandment about coveting, into two. So coveting your neighbour’s wife became #9 while coveting his ox and other possessions became #10. Worship at holy shrines, whether Lourdes or Walsingham, and building ornate buildings, chapels and altars may give the appearance of great devotion, but God calls it adultery. We used to have a dog called Emily. She loved to play football in the garden. The problem was she wouldn’t give the ball back – so we had to buy a second football so the children had one to play with as well. When Emily had got her teeth into one, she couldn’t catch the other. She has to choose. That is what Jesus is saying in verse 8. “You have let go of the commands of God and are holding on to human traditions.”(Mark 7:8). Sadly the history of the Church from the very beginning has been one of religious intolerance directed too often against the faithful who preferred martyrdom to idolatry. We have seen how human traditions invariably fuel hypocrisy and heretical traditions inevitably contradict Scripture. Clearly even the disciples were in serious danger of being deceived. “Why are you so dull too?” Jesus asks. 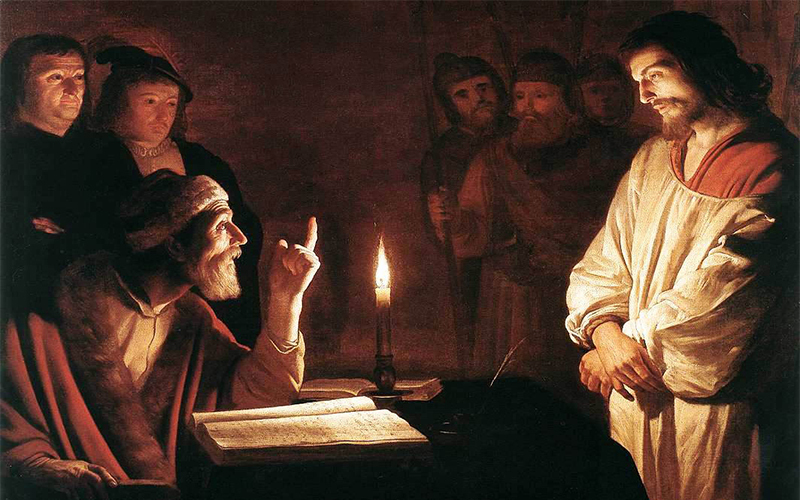 The Pharisees had reduced morality down to a kind of arithmetic. Wash your hands in a certain way, eat specific food prepared, cooked and served in a particular way and you will be holy. Fail to keep their traditions and you could be defiled by food, defiled by places, defiled by contact with certain people. This is what Jesus found so offensive. They assumed that they could stay holy if they did certain things and avoided other things. Jesus insists, a list of do’s and don’ts didn’t go deep enough. Because rules are powerless to change the heart. All Jesus had to do was a little open heart surgery on them, to show what they were really like inside beneath their religious skin. For many years Marxism has dominated our world. For many Karl Marx was and remains a kind of saviour, advocating the moral high ground against social injustice and corruption. His political theory enumerated in “Das Capital” can be a little complicated until you look at the man himself. Marx advocated the proletariat rising up against the bourgeois. Yet Marx himself was bourgeois; he despised labour leaders, and never, it seems, entered a factory in his life. He ridiculed the capitalist system based on credit, yet borrowed money his entire life. For most of the time, deeply in debt. Marx argued that his system was based upon scientific method but was in fact as cruel as the one he wanted to replace. Forcing a third of the world’s population to conform in outward behaviour has done nothing to change the human heart. Evil is not external but internal, from within the heart. That’s why we don’t need more rules, we need release. Observing a list of taboos won’t deal with our sin or guilt. Only Jesus can. If Jesus condemned the Pharisees for their slavery to human traditions, He clearly encouraged the disciples in their liberty. “eating food with hands that were defiled, that is, unwashed.” (Mark 7:2). We see the disciples liberated, disregarding the traditions of the elders. Free to enjoy God’s creation, free to enjoy Him.